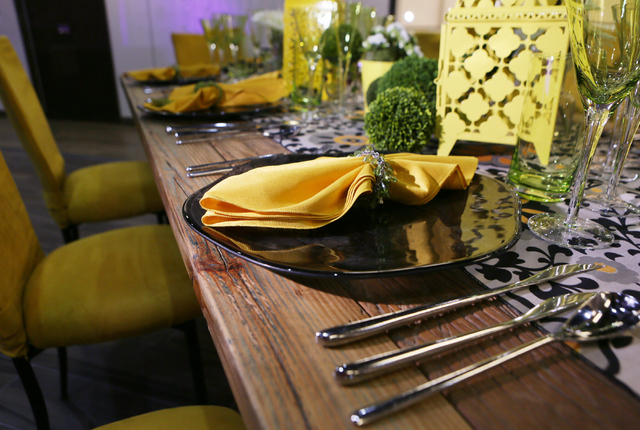 The International School of Hospitality caters to a different kind of student — one who wants to make stays and events memorable. The school, tucked into an East Sunset Road office complex, offered only one course in conference management and event planning when it opened 10 years ago. But it has grown to include catering, wedding planning and hotel management. 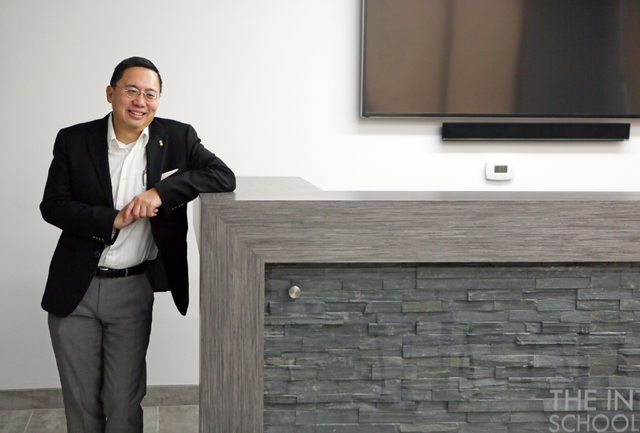 Besides offering an education for newcomers to Southern Nevada or people who want to change careers, Lam and his team were also able to capitalize on Las Vegas’ status as a world hospitality capital. 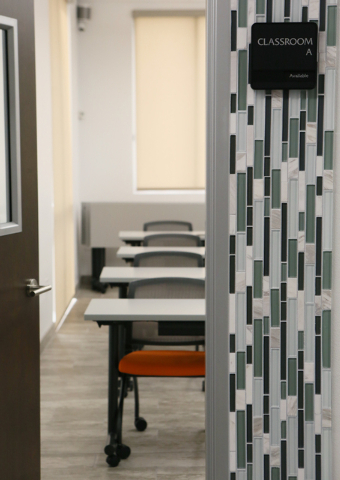 Classes are designed to fit students’ schedules — there are daytime, evening and online courses. Program lengths vary and include certificate courses, executive diploma and diploma programs. “Networking is everything and because we don’t have the students as long as universities do, we take them everywhere including trade association meetings where they can introduce themselves, find their mentors and build a bridge to their future,” Lam said. 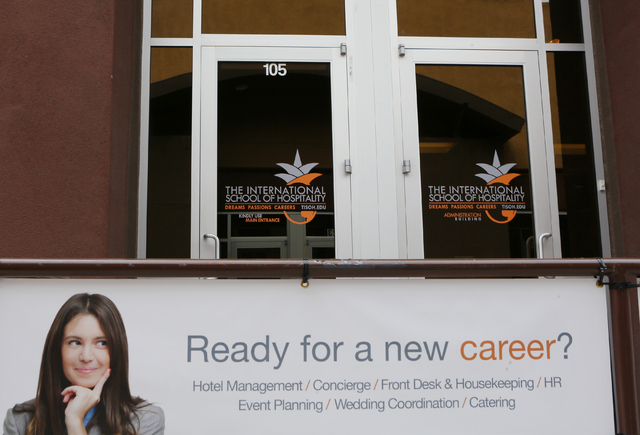 Last month, the International School of Hospitality unveiled renovations and an expansion, which began late in 2014 and nearly triples its size. The more-than-$1 million project was privately funded. 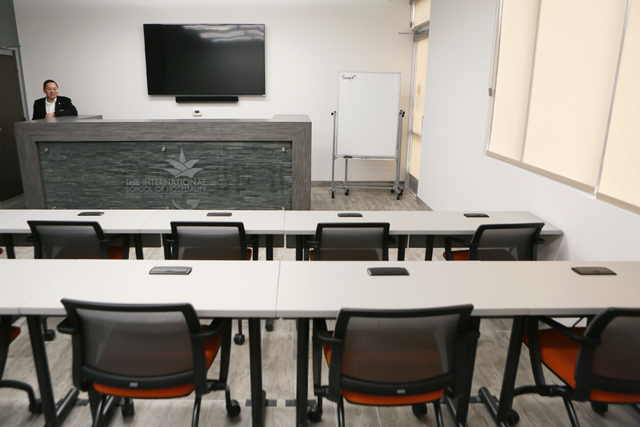 The school added six new classrooms, a front-desk lab where hotel management and concierge students can practice guest interactions and a design lab. 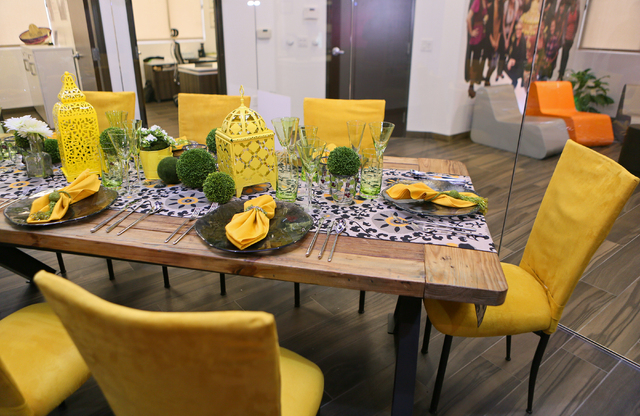 To simulate important occasions for wedding- and event-planning students, the design lab changes every three months to accommodate seasons and trends. 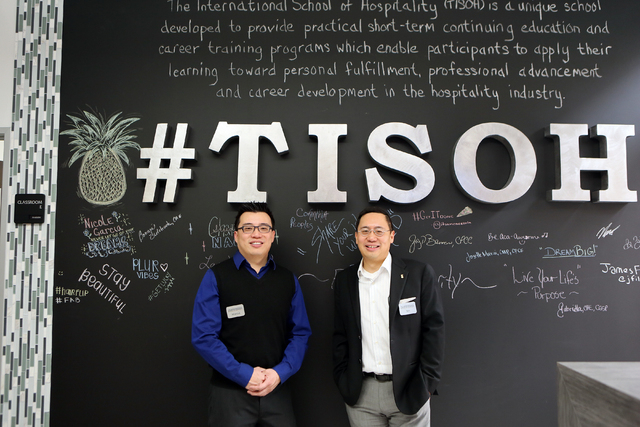 Each month, the International School of Hospitality invites guest speakers, takes students to major Strip hotel-casinos and hosts meetings for trade associations such as the National Association of Catering and Events. 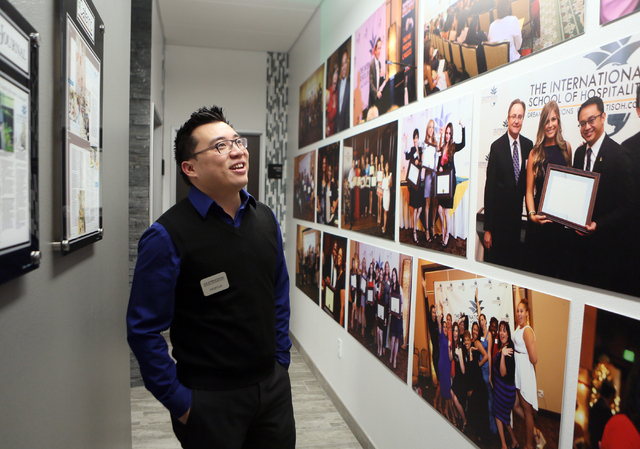 “A lot of associations use our space, and we encourage others to as well,” Lam said. Lam said the school eventually might add courses such as trade show management. He also said he would like to see the school expand beyond Las Vegas.